Exclusively designed in black and gold and made with premium die cast parts. Saba’s eyes light up and his mouth moves to six phrases, recorded by the original Mighty Morphin Power Rangers voice talent: Tony Oliver! Limited Edition: Only 1000 pieces. 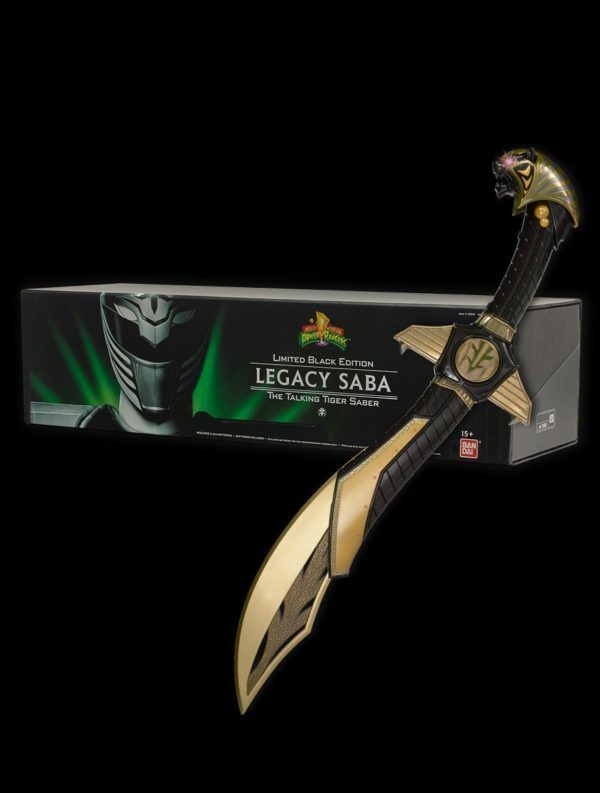 Be the first to review “SDCC 2015 Exclusive Power Rangers Limited Black Edition Legacy Saba The Talking Tiger Saber” Click here to cancel reply.